From September, 2003 till now Vilnius University, Associate professor. 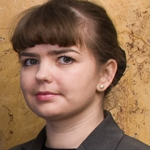 From September, 2012 till now central Bank of Lithuania, Senior analyst, Asset allocation division, Investment department. From September, 2010 till June, 2016 Mykolas Romeris university, Associate professor. From October, 2011 till September, 2012 Equity analyst, Swedbank LС&I. From August, 2008 till October, 2011 Financial broker at local commercial bank. Financial markets. Banking. Monetary policy. Public finance. Financial institutions. International finance. Bank management. International finance. Risk management in commercial banks. Corporate finance and valuation. financial institutions. Monetary policy. Financial Ethics.